If you ever taste homemade pitas you will never settle for store-bought again! These homemade pitas are so soft and light and tasty . . . a heavenly pillow ready to be filled with a tasty filling or dipped in a delicious sauce. For this recipe, you will need all-purpose flour, purified or distilled water, sugar, salt, instant dry yeast. Making your own pitas couldn’t be simpler. If you make them once, your family will insist that you make them on a regular basis. We can’t keep our family stocked with this wonderful bread! Before we left in December we made six dozen of them to split between the three families. To say we love to bake is an understatement . . . three 50 pound bags of King Arthur flour in less than a year. There are so many ideas you for pitas as a base. Here are a few to sample. We enjoy sharing our favorite bread recipes with our family and friends. Be sure to sign up for our newsletter and see what we’re cooking and baking. If you like this recipe, here is a very popular variation. A soft as pillow bread you can split and fill. It is very easy and quick to make. Once you try the homemade you will not buy the store bought. Whisk dry ingredients together in a bowl. In bowl of a stand mixer combine warm water and olive oil. Pour the dry ingredients on top of the water and with the dough hook attachment mix the ingredients together about 1 minute. Increase the speed to medium low until the dough is smooth and elastic, abut 5 minutes. The dough will be a little tacky. Let the dough rise in a greased covered bowl until almost double in size. About 1 1/2 hours. The time will depend on the heat in your kitchen. Turn the dough onto a lightly floured surface. Roll and stretch the dough gently into a long rope. With a bench knife or sharp knife divide the dough into 12 pieces. Form each piece into a smooth tight ball by stretching the sides to the bottom until it is taut. You may need to repeat this several times. After you've formed the balls start at the first one you made and using you fingers pat each ball down to form a small disk. Once you've done this to the 12 pieces use a rolling pin to roll each pita into a 4" circle. They should be 1/4" thick. You don't want them too thin or they won't puff up. Put the pitas on a lightly floured countertop and cover them with a towel. Let pitas rise 30 minutes, just until they begin to puff. When ready, place 3 pitas on a nonstick wire cake rack. Place cake rack directly on the oven rack or baking stone. Bake 4 to 5 minutes until puffed and they are slightly brown. Remove them from the oven immediately and cover them with a damp towel. We have several cake racks so we're able to keep the pitas baking until all are finished. We cool them right on the rack with the damp towel. The damp towel is important because you don't want the pitas to get hard. If you don't have additional rack you may have to put them in a sealed brown paper bag and reuse the cake rack for the additional pitas. Once they are cool wrap them in plastic wrap and freeze them in a large freezer bag. They freeze well, but I can't tell you for how long -- they are gobbled up pretty quickly. Optional: You can add 1 tablespoon garlic or onion powder. Also you can add 1 tablespoon dried Italian seasoning, or any other combination that you like. Add this to the dry ingredients. 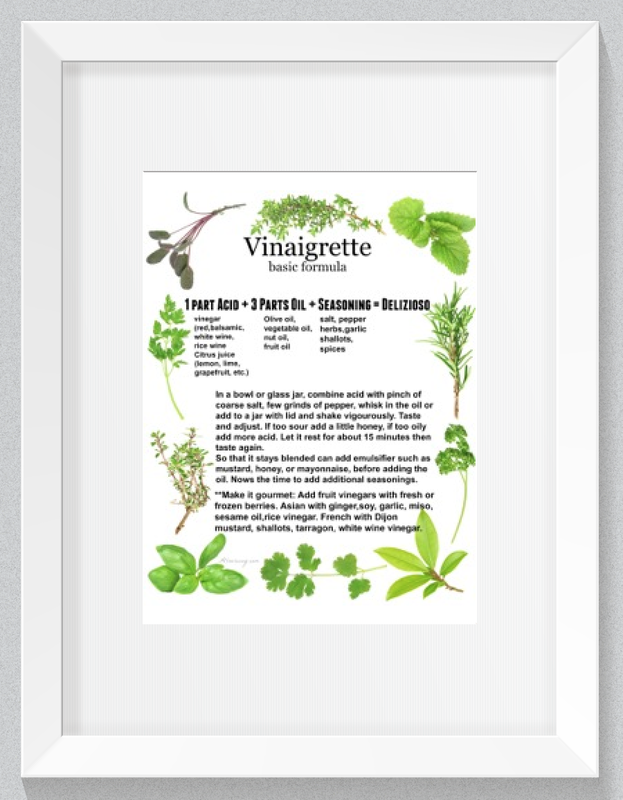 Note: Recipes and content from © 2014-2018 are copyright protected. Please do not use content or recipe without prior written permission. If you want to share the information please link to this post. Thank you. I’ve been wanting to make homemade pitas for ages! They seem so easy, and I know I’d use them up no problem. I do plan on making some hummus this week, so maybe I’ll take a go at some of these from-scratch pillows of deliciousness to go along with them. You’ll love the homemade pitas, Dana! 6 dozen! And 150 lbs of flour in a year?! I LOVE that. 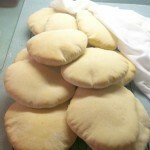 And I adore homemade pitas, which really are heavenly pillows! Ha! I’m with you Tracy — you can’t beat homemade pitas. Heavenly pillows is right!! I realize that it might not sound particularly normal to say that a bunch of air looks especially appetizing, but you can practically taste the difference that all that lightness and fluffiness will make to the final product. I’ve never made pita myself but now that I see how doable it is I think I’m going to have to change that. Cheers! You’ll love making homemade pitas, Sean. They taste great by themselves or filled with some goodies. I absolutely LOVE pita bread, and I would love to make it from scratch! I can’t wait to try your recipe! There’s nothing like fresh pita bread! It’s so much better than the pre-packaged variety you find in the grocery store. Pinning to try this. I’ve never made my own, but these look amazing! It’s so hard to find fresh pita around here. I’ve never tried to make it from scratch, but this looks both easy and tasty. Going to blow my family away by making these. Yay! These look great! Have you tried to make a gluten free version using a flour such as Bob’s Red Mill flour? I’m wondering it they would turn out ok? What cute (and tasty looking) pillows you made! I love making my own bread and pitas sound like a great idea since there is nothing like fresh. And thanks for all the good tips – I’ll be sure to follow them. Who knew they were so quick and easy to make? We used to get them from a small bakery in town and they were out of this world compared to the ones at the grocery. Guess I gotta make them now! Hi, Lorie!! You won’t regret making them at home. These pitas look perfect! I love stuffing them with thinly sliced beef and vegetables. I need to try to make them at home! That sounds wonderful, Sanna! You’re making me hungry! Wow, look at the beautiful pillows! I love pita stuffed with tuna salad, it has always been a favorite of mine. I have never made my own pita though and your recipe looks super easy to follow. Hi, Jennifer! You have to make some pitas — they really are easy and fun. 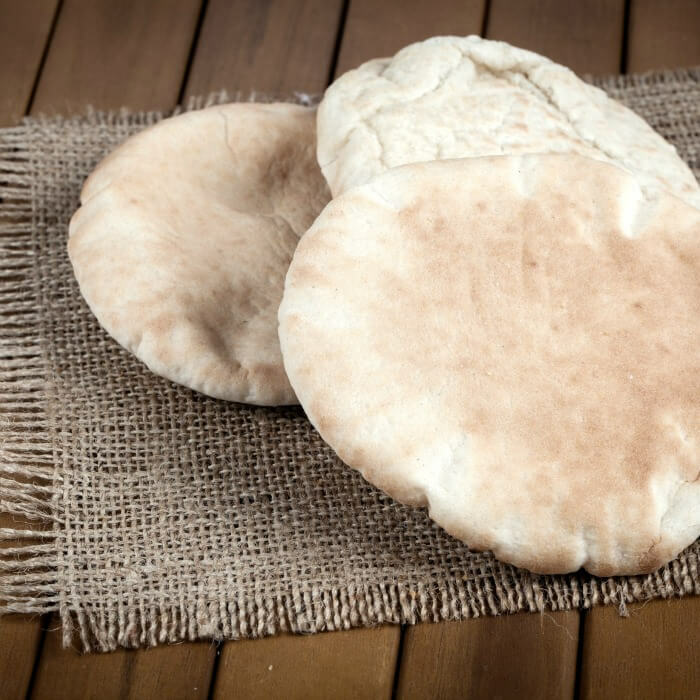 These pitas look SO fluffy – like a PILLOW! I can’t believe these are homemade! I need these pitas in my belly ASAP. I cannot wait to eat these. These look nuts, and it’s making me want to get into the kitchen to make this now! I can’t believe you made so many at once.. well done to you! I have never made pita before, but sounds like something I need to do. They are fun to make, Tina! And we figure since we have everything out, might as well make more than one batch. They look so soft and light. Like actual pillows. I am just picturing that with a super comforting curry beside it. Awesome post Marisa!! Marisa, these pita breads are GORGEOUS! I love snacking on pita, but have only had the store-bought kind. What a treat to make them at home and be able to enjoy them, warm, freshly-baked! I’m not sure why I always thought they’d be quite complicated to make, but your tutorial really breaks it down nicely and makes it sound easily do-able. Can’t wait to try my hand at them! I’ve never made my own pitas before, but I’ve tasted the difference between the store-bought – dry-as-a-bone pita from my grocery and the light, fluffy, still-warm pitas from my local Greek restaurant. There’s no comparison. Your recipe sounds very user-friendly and those pitas look simply outstanding. I like to dip mine in hummus and chopped olives – can’t wait to make this recipe! My daughter recently made homemade pita bread at a cooking camp, and we were talking about making it at home this week. Your recipe looks perfect! Those are heavenly homemade pillows indeed! They look fantastic! These look perfect! Making pitas is a bit daunting to me, but your recipe makes it look like something I could attempt! Thank you! I saw an episode of the Great British Bakeoff where they had to make these, and it looked complicated! Your recipe seems easier. I love love love fresh pita bread, and these look so fluffy and delicious. I want one now! Hi, Dawn! Homemade tastes so much better. Wow, Marisa. Your instruction made me want to make my own Pita really soon. I am actually excited not to buy Pita anymore..
You’ll love the homemade, Shobee, and they are super simple. Pita bread is such a versatile staple in our house. I will definitely have to try my hand at homemade! You’ll love the homemade version, Kristy. WoW, look at those fluffy Pita!!! I looove Mediterranean food and make them at home too however, it’s been ages since I made one. I’ll try your recipe soon. Hi, Molly!! Hope you have a chance to make pitas — caveat though, your family will demand you make them all the time. Buonissime! I’ve never made homemade pitas but these look amazing. And you’re right, they definitely look like “heavenly pillows.” Almost too pretty to eat (almost). 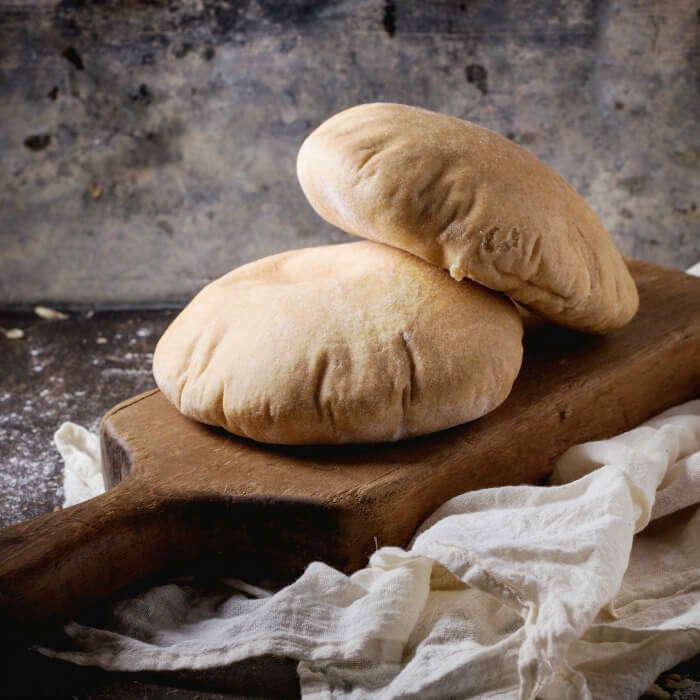 I love to make homemade pitas, but never knew the trick about covering the baked ones with a damp towel to keep them from hardening – I can’t wait to try that with the next batch I make! Agreed that once you go homemade with pitas, you never go back. All the store-bought ones taste like cardboard to me now! Hi, Monica!! Yep, the trick is keeping them moist the minute they come out of the oven. And you’re right, store-bought just don’t taste as good. There’s just nothing quite like homemade bread! I love how the whole house ends up with the delightful aroma. I’ve never tried baking pita bread before but this recipe looks SO simple and the bread is so puffy! Pita pillows indeed!! Hi, Jennifer! You can save on scented fresheners and candles — just bake bread. 😁 Have a wonderful day! It’s been years since I had pita bread — maybe because I’ve never seen them these good. 🙂 At home, my go-to bread is piadina/piada. You’ll have to make some, Neriz! They are so easy to make and delicious, to boot. I never realized pitas were so easy to make! You’re right, I’m definitely never going to settle for store-bought now! I can’t wait to give these a try. Hi, Claire! We love making them — they are so easy and our family enjoys them. Oh, I haven’t made pita bread in ages! Mine never puffed that beautifully, though it still tasted terrific! Now I have to find or figure out a gluten free version – there must be one. Hi, Anne! The recipe will guarantee you’ll get the pillows. Just follow the directions and should you have any problems just let me know. I have never made pita bread. But looking at your recipe makes me see how easy it is! 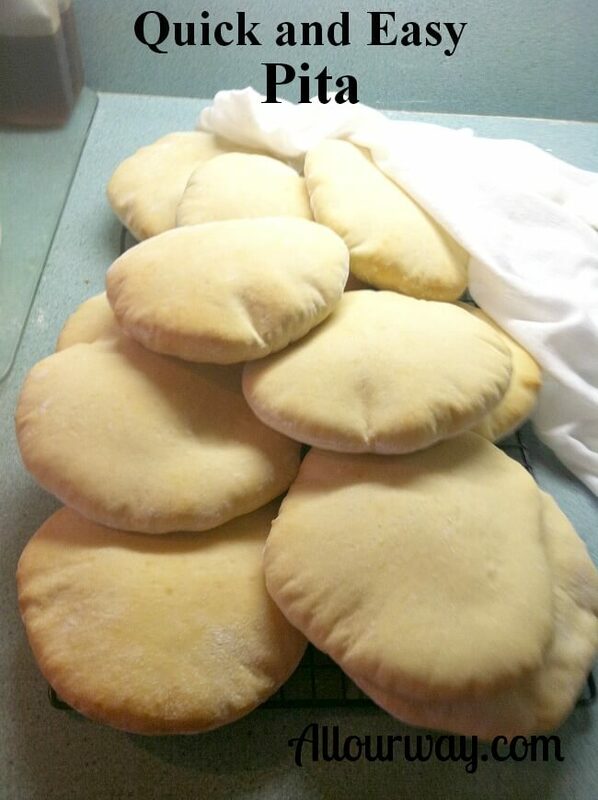 I want my own homemade pita bread pillows (lovely name by the way). And I can’t believe you go through 50 pounds of flour! Yikes!! 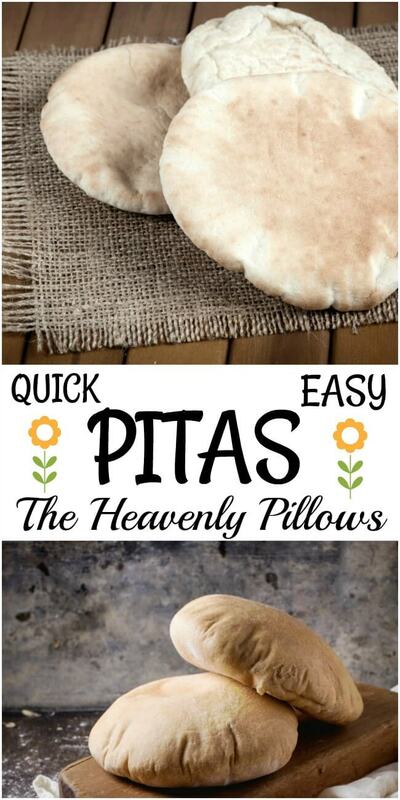 These pita pillows look so delicious and fun that I am going to make them, hopefully this weekend. These look so perfect. Thanks for sharing! You’re welcome! I hope you give them a try. These literally look like perfect pitas! There are so many possibilities with what you could use this recipe for! I love it! You Pitas puffed up beautifully! I have tried to make them myself before but mine never look that perfect! I will have to try your recipe! Hi, Kiki! It’s a super easy recipe — you’ll love it. I haven’t made homemade Pita Bread in ages, and I don’t remember mine being quite so fluffy. They really look like pillows. Now, I need to decide what to fill them with. Did you really go through 100 pounds of flour in a year? That’s a lot of baking. Hi Patti! We go through more than that. It all depends on how much we’re giving to our kids and grandkids. We love to bake!! Your kitchen sounds like mine. I have not made homemade pita, though and I am eager to make your recipe. Looks fantastic. Hi, Jovina! 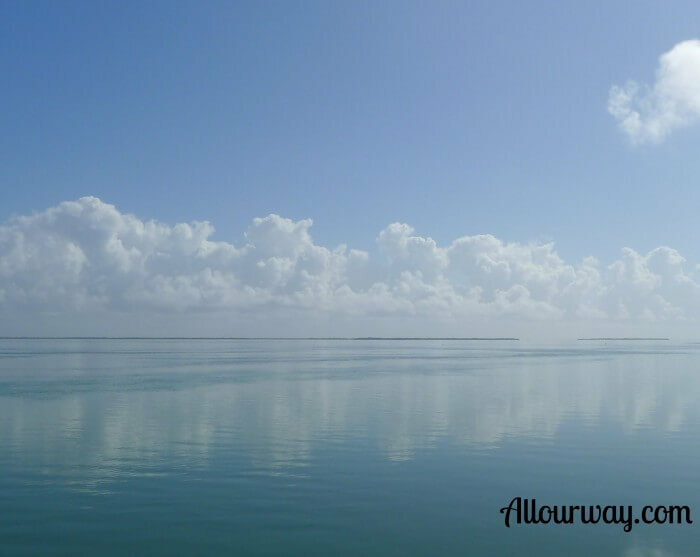 I’m updating some of my older posts that didn’t have SEO keywords attached to them. Yes, our kitchen is a hubbub of activity. We are making pitas today and a bread called Pane Bianco. The bread has cheese and roasted tomatoes in it. We have to do something indoors — it’s been raining so much. How are you holding up? There’s nothing like homemade bread. I don’t even know how I started liking pitas, when all I had was the store-bought ones! Homemade pitas are soooo much better. I know you won’t be disappointed. When we make them we make several batches at a time. Our kids and grandkids love them so we are always making them, freezing them, and then taking the pitas to them when we visit. Will other flours work, such as whole wheat? Can’t wait to try this recipe! Thanks, for sharing!